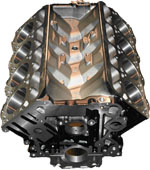 Hypermax Ultimax crankcases for Ford Powerstroke diesel engines are cast using CGI material for a 60% improvement in strength and reliability over the factory design. 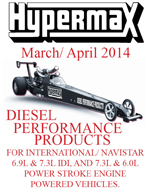 Built to withstand the extreme cylinder pressures of single or twin turbochargers and nitrous oxide injected systems. 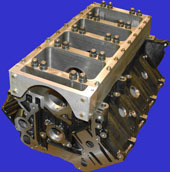 Don’t waste time and money with a junkyard block on your high performance Powerstroke. The new powder coated CGI crankcase is fully machined and line bored to factory specifications. Also available with unfinished cylinder and main bearing bores.